President of the Senate, Dr. Abubakar Bukola Saraki, congratulated the newly elected President of the Nigerian Bar Association (NBA), Mr. Mahmoud Abubakar, SAN, and other national officials of the association. Saraki in a statement by his Special Adviser, Media and Publicity, Yusuph Olaniyonu, in Abuja, said the election of Abubakar could not have come at a better time in the life of the NBA and the nation’s legal system, considering his reputation and wealth of experience. He specifically noted the use of electronic voting in the conduct of the NBA’s 2016 election which produced the new national officers of the Bar, describing it as a clear milestone which points the way to go, at the national level, in this era of digital revolution. The Senate President called on the new national executive of the NBA to build on the legacies of his predecessors, work for the unity of the Bar and ensure that the principle of fairness, equity and justice comes to play in all their actions. He reiterated his pledge that the National Assembly would continue to welcome the input from the Bar in its efforts to review the nation’s obsolete laws as well as the introduction of other progressive legislations that will help to improve the socio-political and economic development of the country. He specifically commended the outgoing NBA executive, led by Mr. Augustine Alegeh (SAN), for its engagement with the Senate, through the Nigeria Bar Association’s Section on Business Law, to review laws which affect the ease of doing business in the country, an effort which has began to yield tangible results. Saraki said: “The recent passage of the Nigerian Railway Corporation (NRC) Bill, by the Senate is a testament to the many advantages that can accrue to the nation’s economy when the legislature and critical associations like the NBA collaborate. “I sincerely congratulate the new NBA executive under the leadership of Mr. Mahmoud Abubakar. 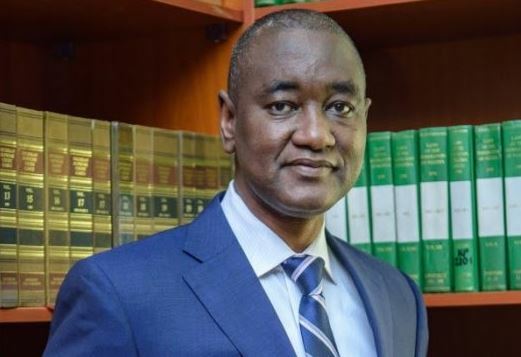 As a former Attorney-General and Commissioner for Justice, in Kano State, and a Senior Advocate of Nigeria (SAN), I have no doubt that Mahmoud has all it takes to take the elite body of lawyers in the country to the next level. “I also believe the NBA will continue to strive for excellence as an association comprising ministers in the temple of justice by ensuring that both plaintiffs and defendants are accorded all rights and legal privileges due them before, during and after cases are dispensed with by the courts,” he said.